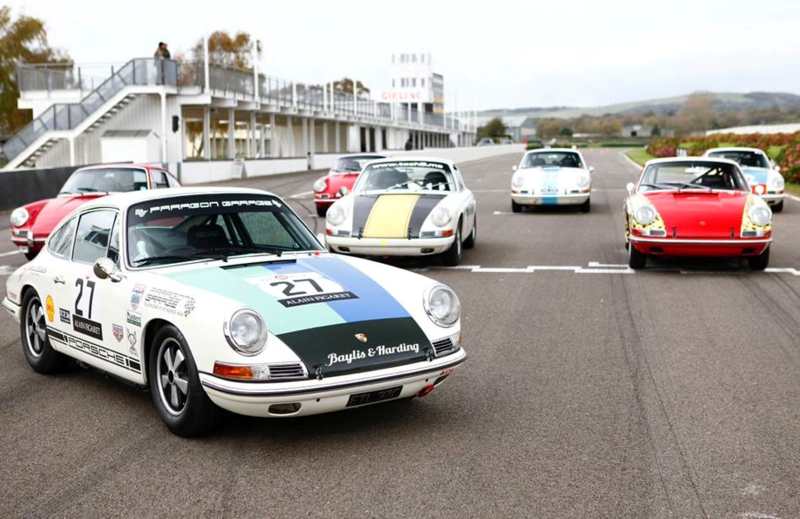 As we’ve already mentioned, last week we had the pleasure of a predominantly Porsche-flavoured Robert Barrie track day. Such Porsche luminaries as Lee Maxted-Page, Andy Prill and former British GT Championship driver Mark Sumpter could all be seen busily hoping to attract the attention of the Competitions Department ahead of the 2.0-litre 911 race scheduled for next year’s 73rd Members’ Meeting. Built on a short wheelbase platform and before Porsche started adding letters like S and E to the 911 moniker, the 2.0-litre cars are known to be a bit tricky to drive. It would have been derelict of us not to have asked Mark Sumpter if we could film a few laps of one of his sessions in Adrian Slater’s beautifully-prepared 1965 car which, if invited, he intends to race at 73MM. He agreed and we hastily lashed a Go-Pro to the roll cage. Despite the damp, cold conditions, 5.5-inch wheels and Dunlop historical tyres making things as tricky as possible, we’d guess from the footage that Mr Sumpter will be at the sharp end of the field. Wouldn’t you agree?